Fashions of Time: FANtastic Finds! 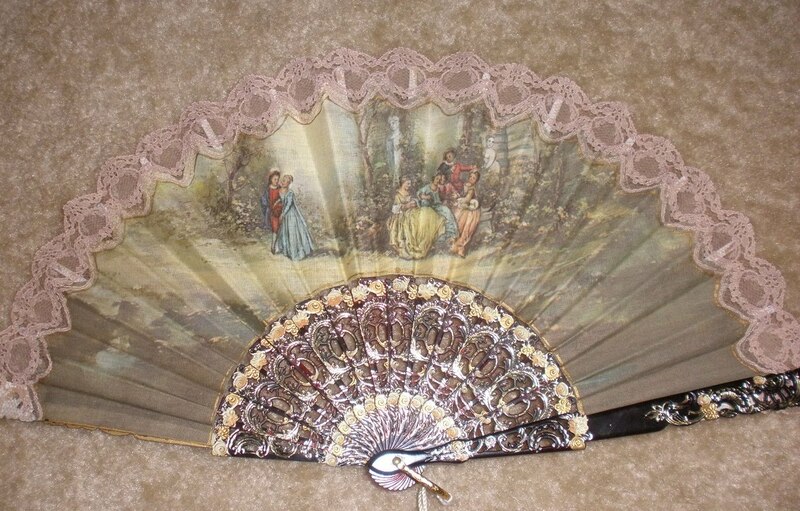 I also have not posted anything about a beautiful 1840s Austrian fan that John bought me at the last Antique Elegance Show. 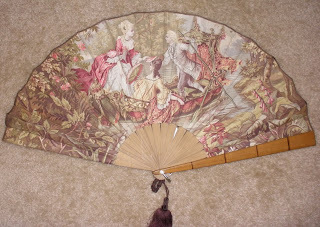 It has some very beautiful embroidery detail in a few places. It's very large and needs a frame. GORGEOUS! Oh I'm jealous! they look in perfect condition too! What a treasure, wonderful embroidery.